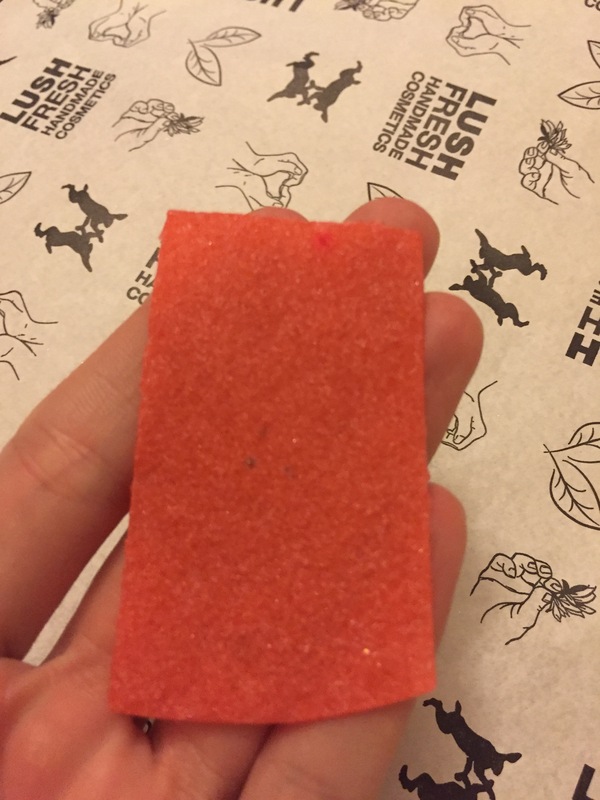 Wash sheets are quite a new product for lush, they first made there appearance at the lush Oxford street store as an exclusive product, but are now avalible to buy online aswell. A wash sheet is basically a sheet of shower gel in a more solid form. It kind of reminds me of that candy paper you could eat that you had as a kid. The idea behind it is that you rip or cut a small price of the sheet and use in in exactly the same way as you would your normal shower gel or soap. the wash sheet is a very exciting novelty invention and I really am a sucker for anything a little different a quirky. However On my trips to lush Oxford street I have never actually purchased one of these wash sheets before. I think I might be because they are a little pricey and because I could get some many other things for the same price they have ended up taking a back seat. I found out lush had released a Christmas version of the wash sheet by accident when I was in the Oxford street store. When I saw this new Christmassy version I , thought why not it is nearly Christmas after all and treated myself to one! It is possibly one of the best investments I have ever made and I’m so happy that i actually got round to trying one. as they are brilliant. 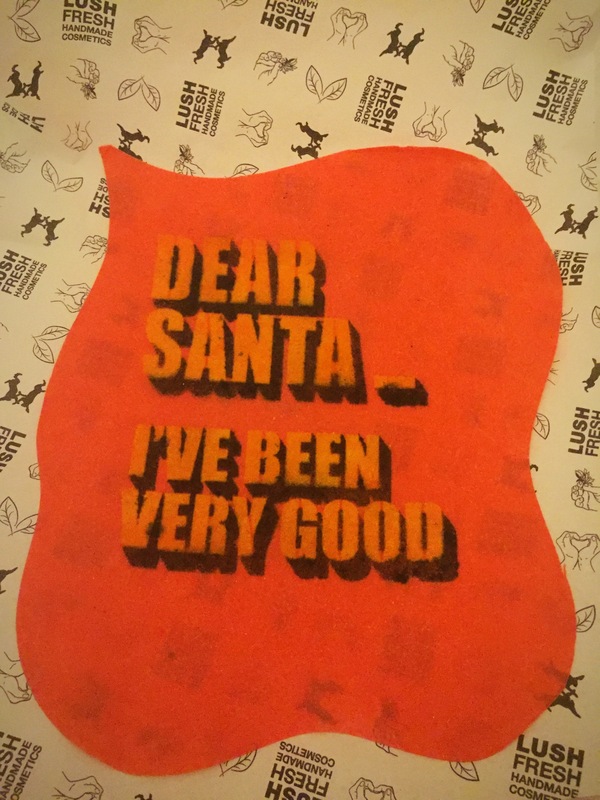 Letters to Santa is quite large in size compared to some of the other wash sheets, and has a wiggly design to it which is quite different to the rectangular shape of the other wash sheets avalible. For some reason I didn’t actually smell this wash sheet till I got home! I think I may have just been a little bit over excited about it and forgot to give it a sniff. So I was very very very pleased so find out that this wash sheet Pretty much smell the same as the vanilliary scent range! I have always been such a huge vanilla fan ever since I was little and I would spend my pocket money on the body shops vanillia body mist. 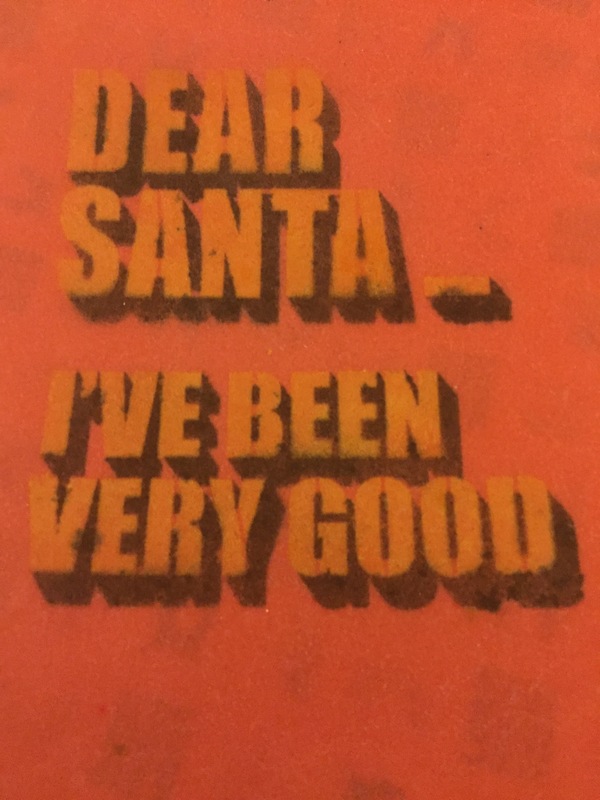 Although there are a few subtle difference in scent between the letter to Santa wash sheet and the vanilliary scent I’m sure if you like one you are going to like the other. The main base product of the wash sheet is Apple pulp (slightly weird) which gives the product a very hard to describe texture. 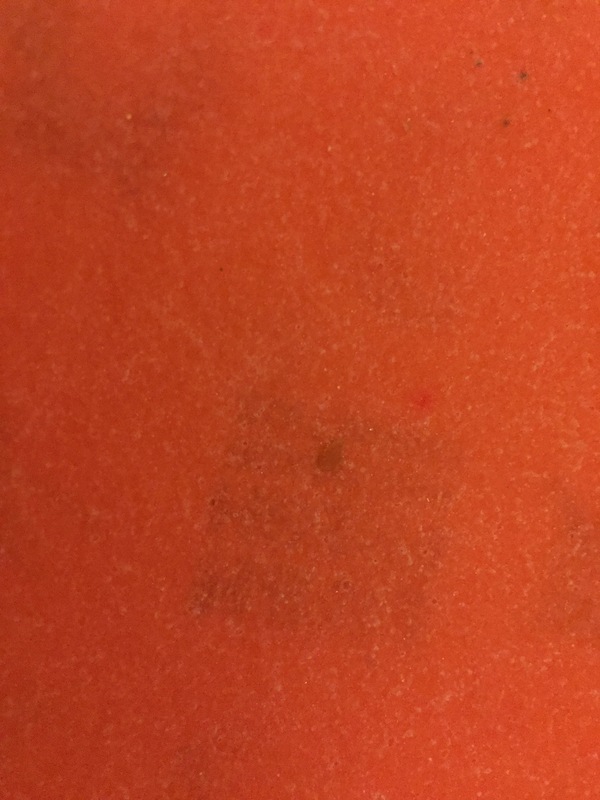 The sheet is quite thin and has an almost foamy feeling about it. I decided that the best way to use it would be to cut it up into little square so I could just use a small piece at a time. And to stop the whole product from getting wet and dissolving. I quickly found that a little goes an awful long way so you only need to use a small bit at a time. Once it hits water it produces a lather wich can be used in the same way as you normal shower gel or soap. What I totally love about this product is that the scent lingers on the skin for ages. Although this product is quite pricey for what it is, when you conpare it to the likes of a showe gel (I don’t think it would last you half as long) It if a brilliantly quirky product and it is a fab way to try something a little different. It would be brilliant fun for children or like me those that are just young at heart. Ingredients – Water (Aqua), Fresh Apple Pulp, Sodium Lauryl Sulfate, Perfume, Hydroxypropyl Methylcellulose, Fair Trade Vanilla Absolute, DRF Alcohol, Pine Oil, Cinnamon Leaf Oil, Sodium polyacrylate, Gardenia Extract, Hydroxycitronellal, Lilial, Benzyl Benzoate, Coumarin, Eugenol, Farnesol, Limonene, Fandango Lustre, Colour 77499, Colour 19140, Colour 19140:1, Colour 42090.